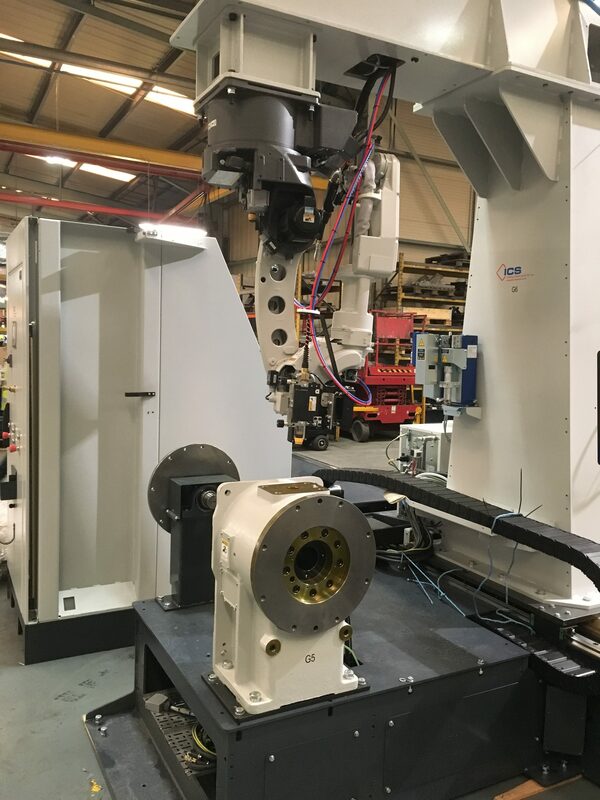 Panasonic engineers have begun the complex job of installing and commissioning AET’s latest addition to their automated welding section. This is the company’s third robotic welding system and is one of the largest of it’s kind in Europe. 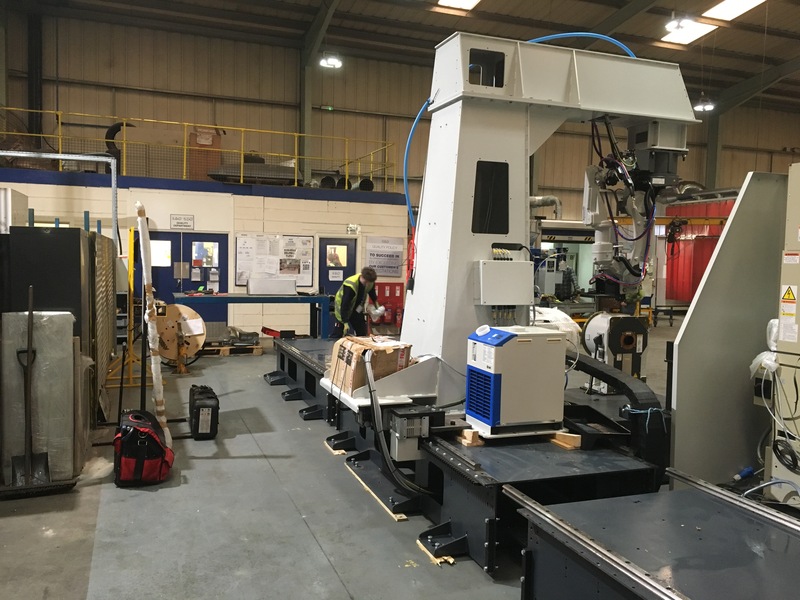 The Panasonic Gantry Welding System is fitted with a PerformArc PA-2DK-9m overhead robot with 8 meters of track movement. 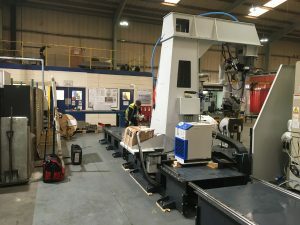 This gives the unit two 3 x 1.4 metre workstations complete with tailstocks and positioners, allowing the operator team to be fabricating on one workstation whilst loading and preparing the other.